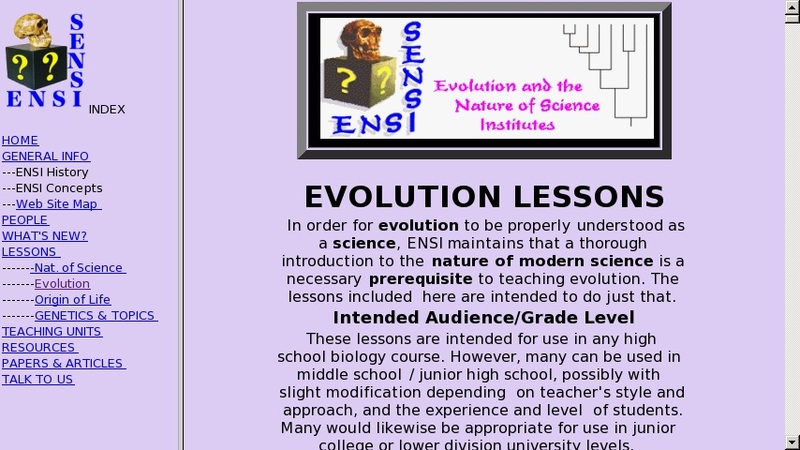 This collection of lessons from the Evolution and the Nature of Science Institute (ENSI) focus on evolution. Each title is an active link to the named activity. The site also contains links to synopses for all of the lessons and a statement on the appropriate grade level for the lessons.